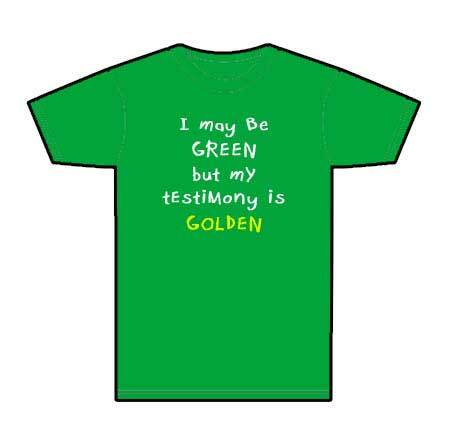 My professor applied this idea of being green from not only a missionary standpoint, but from a life standpoint. 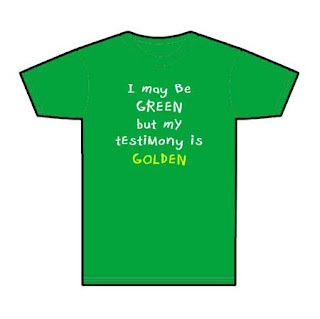 Are we not all green? We are all learning and growing. We are all new to some area of our life. We serve a mission, get comfortable and are sent home. We go to college and are comfortable and then we graduate. We get married and are comfortable and then we have children. We move into a new ward and get comfortable and then we are given a calling. The Lord does not want any one of us to be stagnant. He wants his children to continue to progress. It's all part of the plan. It is so easy to become comfortable in a way of life and argue that it's easy, it's what one is used to. The Lord never promised easy, he just promised that it would be worth it. Our greatest growth comes in times of struggle, in times where our faith is put to the test, our character is held to the light. Instead of dragging our feet and complaining about the discomforts. Learn to become comfortable with being uncomfortable. Find joy in the journey.